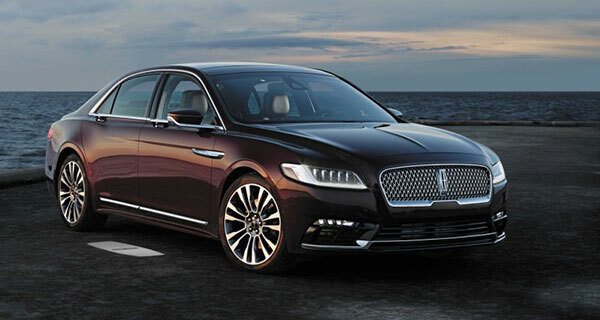 The 2019 Lincoln Continental is a spectacular looking automobile, with beautifully seamless lines and well-thought-out styling cues complemented by oversize wheels and tires, and a nice low aggressive road stance. And it handles well. Ford announced a while ago that it would cease production of all its conventional passenger sedans starting in 2020. As well as being a potential game-changer for the company, this is also a huge mistake. Yes, people are buying SUVs and sport cutes in unprecedented numbers, but things change. And right now, Ford has never built better passenger sedans. The Focus, Fusion, etc., are – for the most part – very good automobiles, on par with anything else in the market and better than many. If Ford was to ask my advice, I’d say wait things out – the car business is cyclical and what goes around, comes around. But if you must have a Ford, you’ll still be able to purchase a passenger sedan from Ford Motor Co. – if you don’t mind paying for it. 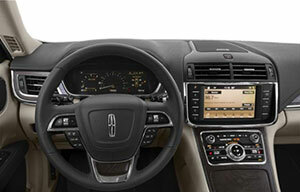 Lincoln will continue to offer its MKZ and Continental sedans and I recently spent some time in the latter model. The 2019 Continental is available with two engine choices: 2.7-litre or 3.0-litre V6. Both are turbocharged and make 335 and 400 horsepower respectively. My tester had the latter engine. There’s but one transmission choice: a six-speed automatic. And the Continental comes with all-wheel-drive. Fuel economy is put at 12 litres per 100 km, combined rating. The Continental will seat four or five, depending on the trim level. My tester was the four-seater Reserve version, due to a rear-seat centre console that has its own monitor and heat controls, including a wonderful reclining feature that caught me by surprise. The controls and switch gear of the 2019 Lincoln Continental are a little on the complicated side, but most are straightforward once you spend some time with the car. The push-button gear selector is surprisingly easy to get along with and works seamlessly and effortlessly. This is a spectacular-looking automobile, with beautifully seamless lines and well-thought-out styling cues complemented by oversize wheels and tires, and a nice low and aggressive road stance. I particularly like the way the waistline chrome trim follows the length of the car and incorporates the door handles. Full marks here. I also really like the way the car handles and hugs the road. This is an upscale sedan, no question, but it feels like a sports coupe and manages to convey a sense of driveability matched only by some BMWs and Mercedes. The drive train is as refined as anything coming out of Europe or Japan, and reserve power for overtaking is abundant and readily available. Again, top marks. Inside, the controls and switch gear are a little on the complicated side, but most are redundant and straightforward once you spend some time with the car. The push-button gear selector is surprisingly easy to get along with and works seamlessly and effortlessly. Best of all, most of the controls are of the set-it-and-forget-it variety – no constant fiddling with seat adjustments or climate control recalcitrance. You want an upscale driving experience? And you’re not even aware of the fact that this is an all-wheel-drive automobile, which sets it apart from just about everything else in this market segment. During my time with this car, we had cold and snowy weather and the Continental made short work of poor road conditions. Zero complaints. That said, I do have a few nits to pick. Number one, and it’s kind of a biggie, are the front seats. These things killed me, despite an almost limitless array of adjustments and controls. I just could not get comfortable with the seats. And the fact that they’re heated and ventilated, with a built-in massage feature and door-mounted controls, didn’t help at all. Number two, again, kind of important, is the price of this car. Base price is just over $60,000 and my tester, which had all the bells and whistles, starts at just under $70,000. Add options such as “Premium” LED headlamps ($2,800), the rear seat package ($5,000) and the turbocharged 3.0-litre engine, and you’re up to and over $86,000. And that’s before taxes and other surcharges. So what we have here is a hundred-grand automobile. Well, that’s between you and your pocketbook. Some alternatives: Hyundai Genesis G80, Volvo S90, Cadillac CT6, Kia K900, BMW 5 Series, Mercedes E Class.